The Matamoros workers have demonstrated an immense level of courage and strength faced with threats of permanently losing their jobs, going into debt or being blacklisted by the ruthless maquiladoras. Demonstrating the immense sacrifices that workers are making in the course of the strike, local businesses report that grocery sales are down 25 percent from this same period last year. Seventy percent of the city’s economy depends on the maquiladora industry. The official process for calling a strike in Mexico lasts 10 days, a process which started last Wednesday. But the workers did not wait for their hated union leadership to stall and betray negotiations while they continued backbreaking work at the factories. Instead, the workers decided to take matters into their own hands and launched a wildcat strike—with or without a legal mandate. The WSWS has now received reports that a second country—Canada, joining the US—has now been impacted by the Matamoros strike. An autoworker reported to the WSWS that the Oakville Ford Assembly Complex near Toronto, Canada has had intermittent auto part shortages this week, including for door looms which are used for the Ford Mustang. A Flat Rock Assembly Plant worker in Detroit, Michigan, told our reporters that production there will be canceled next week due to a shortage of parts. The fact that this strike threatens to grind to a halt a backbone of industrial production has only intensified the workers’ resolve and the companies’ repressive measures. These fears are well-founded. 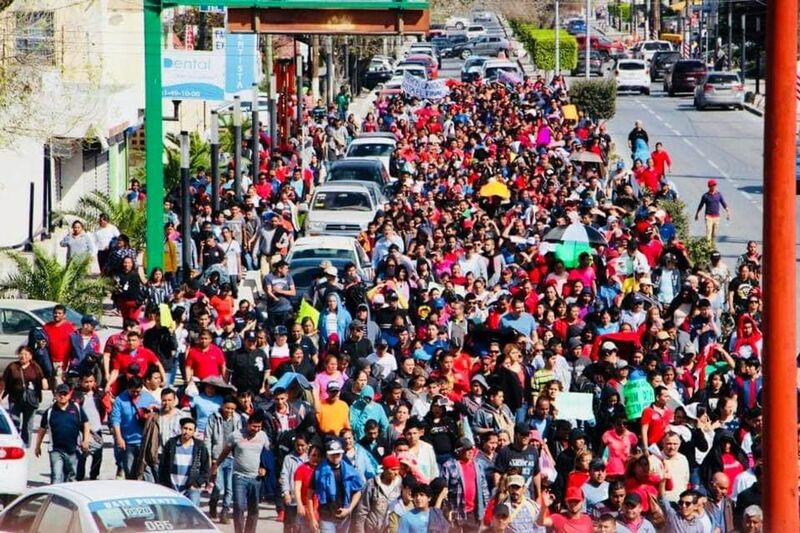 Last week, over 100 APTIV auto parts workers in Reynosa, just 90 kilometers away from Matamoros, were locked out of their plant after demanding a 100 percent wage increase like their brothers and sisters in Matamoros. There is widespread support for a coordinated struggle against both against the companies that have exploited workers for decades and the unions that do their bidding. The auto parts company Polytech has now agreed to make concessions to its workforce and has granted the 20 percent wage increase and USD $1,700 bonus the workers demanded. This has strengthened the resolve of workers to see this fight through to the end. To keep this sentiment repressed and under control, the companies have intensified their scare tactics against the Matamoros workers. 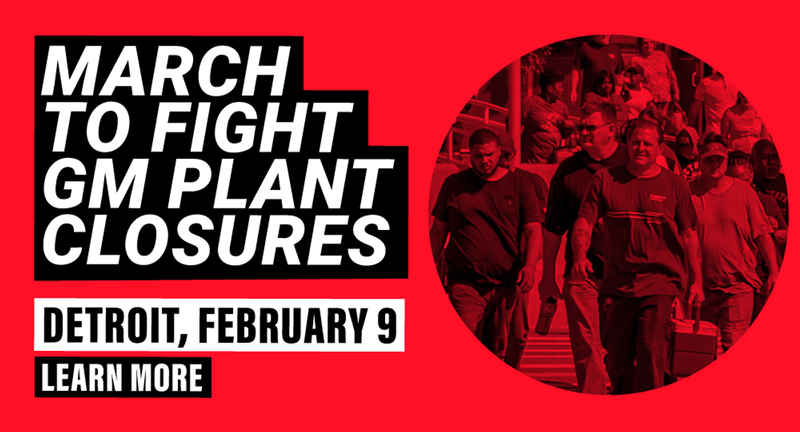 Yesterday, auto parts companies Candados Universales and Parker Hannifin began removing machinery from their plants ahead of the official strike date. Workers at Candados Universales responded with courageous militancy by blocking the entrances and exits to the plant. “Nothing comes in, nothing goes out!” the workers said. In a clear signal that finance capital is deeply concerned about the strike, auto parts plants APTIV and Parker Hannifin stock was down five percent in the past week. In another thuggish threat, the plastic container manufacturer Cepillos announced that it would be closing its plant in Matamoros. 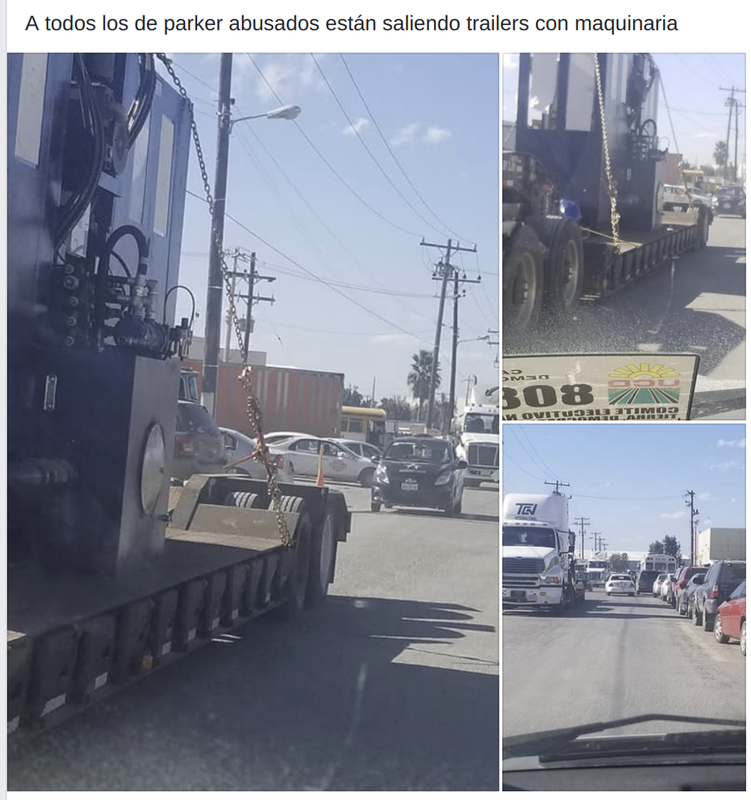 “This company has been operating in Matamoros for 32 years, we have not been involved in the strike, but the current demands of the working class are impossible to fulfill by this company,” said manager Carlos Rubio. What a bold-faced lie! The auto parts companies that own the maquiladoras make a living out of extracting as much labor possible out of the workers. The corporations, with the assistance of the unions, funnel this wealth straight into the pockets of the financial elite. Exco automotive solutions—which owns striking parts plants Polytech and AFX—earned $82.2 million in 2017, while Parker Hannifin made $355 million in 2018. The sale of Dura Automotive, whose workers are also on strike, is expected to yield $1 billion. This wealth was generated by the workers themselves, not the billionaires that earn their money through dividends and stock sales. The demands of the workers not just for a 20 percent wage increase and a bonus, but for a fundamental change in their situation and an end to their exploitative working conditions, means taking on the economic system that is the source of their exploitation: capitalism. There is more than enough money to guarantee every worker and their family a high quality of life. But the fundamental issue is who controls the wealth in society: the workers or the capitalists. A well-paying job, fully-funded social services, a pension, and time for leisure and culture requires a frontal assault on the wealth of the corporate and financial elite and the reorganization of society based on socialism and the principle of social need, not private profit.